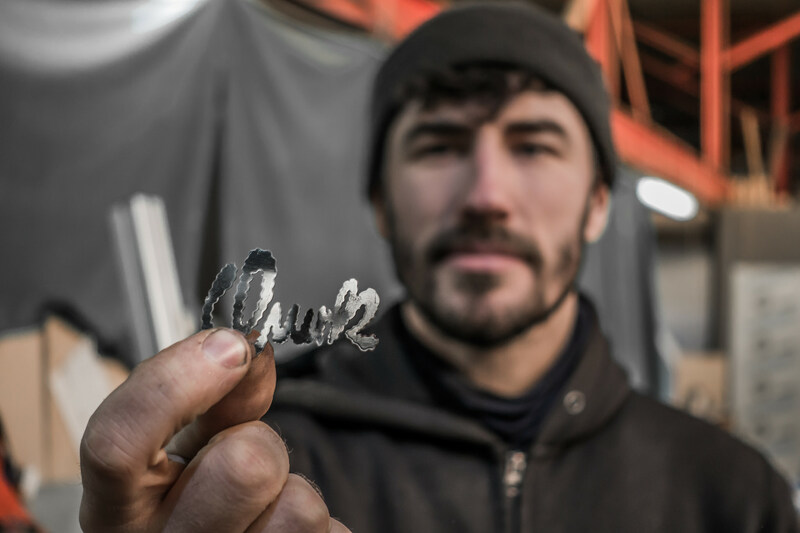 My name is Rob Quirk and I’m the founder of Quirk Cycles, a custom-bicycle framebuilding company based in London. Among the bikes you've built, which ones are your favorites? Hugo’s Northern Lights Road Bike - Hugo was great to work with and was very open with his brief essentially asking me to just make the best bike possible. The starting point was ‘I want a fast road bike with inspired by the Northern Lights!’ which allowed Cole Coatings complete free reign with the paint. The whole build is just so slick and the paint just so awesome. 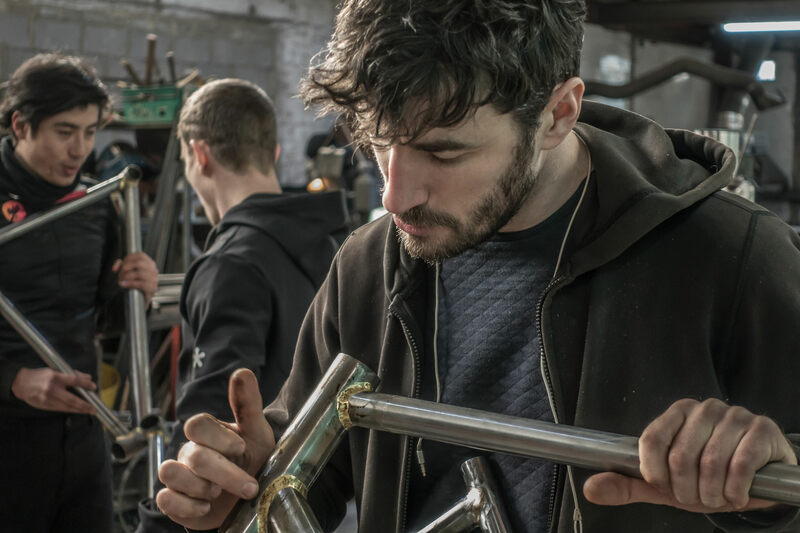 Alistair’s Stainless Adventure Bike - The approach Alistair took with this build was the polar opposite of Hugo’s with Alistair being very involved in the design process. He had a very clear end point and to achieve this we had to design and machine quite a lot of the frame-parts in house. The seat-stay bullets, the seat-tube collar, SS bridge, fork and fork ends were all custom made. This is a good example of what gets referred to as deep custom - nothing is standard. This build is one of the longest I’ve worked on taking about a month to complete, its classy understated finish belies the amount of work that went into that classy look. Chris Hall’s CX Beauty - This was one of those builds where everything just fell into place. I’ve known Chris a while now and we have often talked about getting him on a Quirk so when his planned cross rig fell through he asked how quick could I build one. Five days later his bike was being painted! Chris was a pleasure to work with leaving the design and build to me and then getting a super smart paint job from Cole Coatings. The finish is a two-tone Candy fade which has such a deep lustre it's difficult to show in photographs. Definitely one of my most satisfying builds from start to finish. 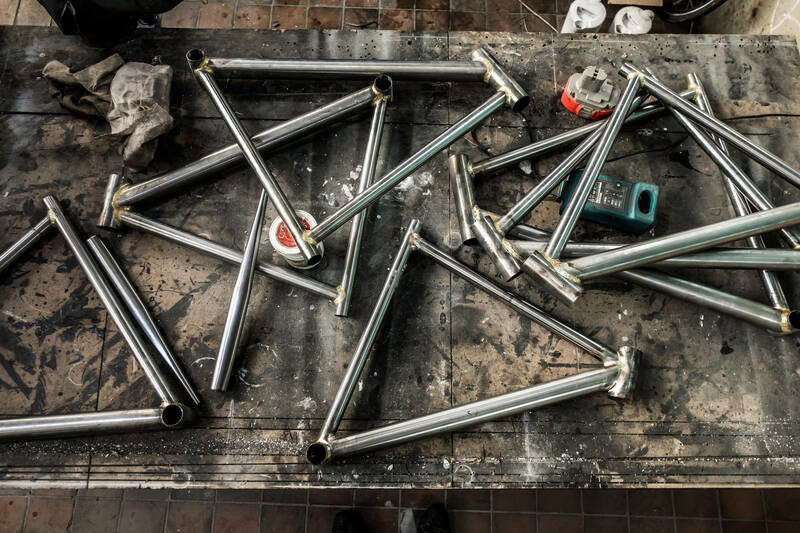 How did you first start building bikes? 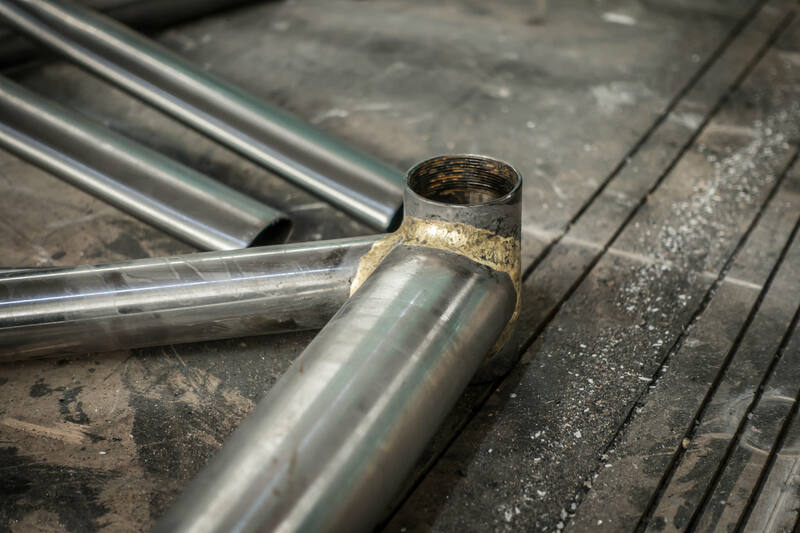 The company was formed after an attempt to start producing custom carbon frames in the UK. I spent a lot of time visiting carbon fibre manufacturers around the country and whilst they loved the ideas and concept most were mainly focussed on MOD projects and the Formula-One racing market. After months and months of trying to get the project off the ground I decided to simplify things and to look at building in steel. The beauty of steel as a material is in its immediacy of production, needing very little in terms of tooling to start producing. 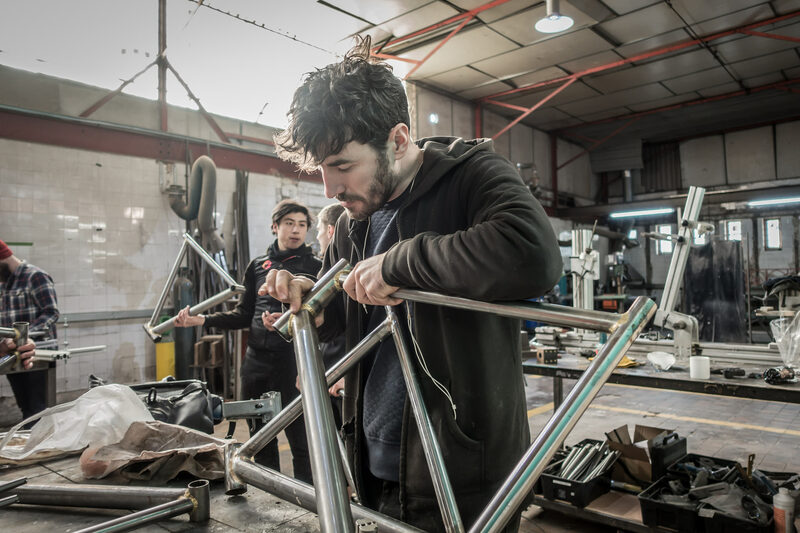 So with this new direction I booked myself onto a framebuilding course at The Bicycle Academy. Little did I know at the time that doing the course would change so much in my life! 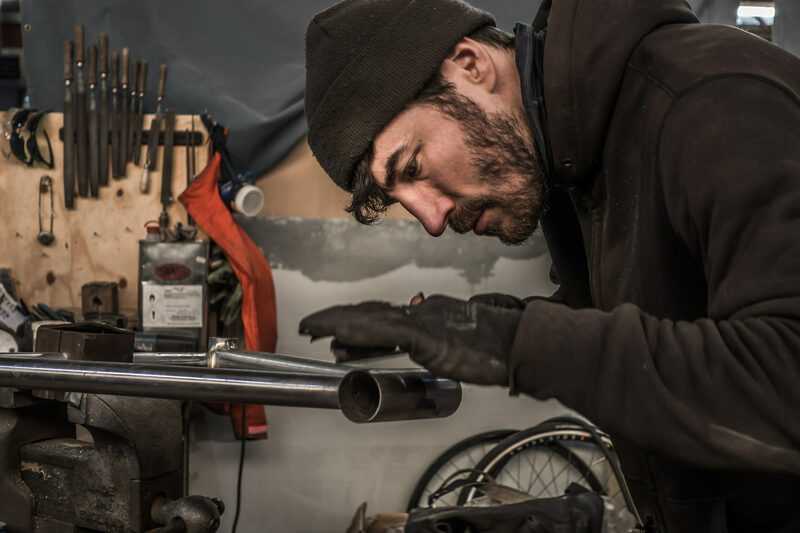 Their approach to learning and making goes way beyond the basics of how to build a bike, and as many before me have learned making something so manifestly beautiful and practical is a poignantly affirming experience. How did you become a pro? It’s great that people view me as a pro and certainly the business grows every year thanks to the many customers that believe in what I am doing here at Quirk. I’m careful to treat everyday as a school day though (thank you Bicycle Academy!) and am careful to think that there isn't an opportunity to learn something new. There’s a great community between the framebuilders in the UK and when we all meetup we learn so much. Often it's just small changes to your work practice that have the biggest impact, the little tips and tricks that completely reinvent your way of working. It’s hard to see things from outside your own position and all it takes is a different viewpoint to blow your mind. What kind of bikes you've built and how? All kind of things from lo-pros to MTB’s but I try to focus on what I like which is bikes that can be as adventurous as you are. It sounds corny but that’s what I ride and because of that it's what I’m good at. For instance our All-Road model was designed, developed and raced 4000km by myself from Belgium to Turkey in the Transcontinental Race No.4 . For me it's important that I know exactly how my frames ride, it's what informs my way of designing and how customers relate to me. It shows that my bikes are built to task from experience, that counts for a lot in this game. Currently working on an All-Road model for a friend who I met on the Rad Race Tour de Friends a ride from Munich to Venice. We stayed in touch and now he’s going to be riding a loop of the North Sea following the Coast of Norway, Denmark, Germany, Netherlands, Belgium, England and Scotland. Another build for a friend but this time an Adventure road. I’m trying out a few ideas on this one that will then be developed into a full prototype for myself. Currently having some 3D printed parts designed and tested that will get built up into the finished frame. Once it's done I will take it to Kyrgyzstan this August to race the 1700km bike-packing event the Silk Road Mountain Race.